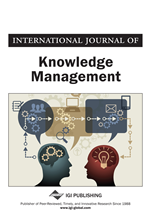 Interest in the capture of tacit knowledge within organizations has risen in recent years. However, while the capture of explicit knowledge is relatively straightforward, methods for eliciting tacit knowledge are less well developed. This paper describes how the critical decision interview method can assist expert respondents to articulate tacit knowledge by probing beyond their espoused theories about their actions to reveal their practice. Tacit knowledge can then be identified by contrasting respondents’ practice with theoretical prescriptions for “best practice” in the field. The application of the method in an investigation of risk management in IT projects is described, and the effectiveness of this method for surfacing tacit knowledge is discussed.